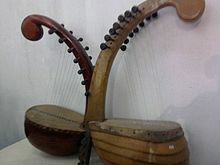 The yazh (Tamil: யாழ், also transliterated yaaḻ) is an harp used in ancient Tamil music which was the ancestor of modern day veena. 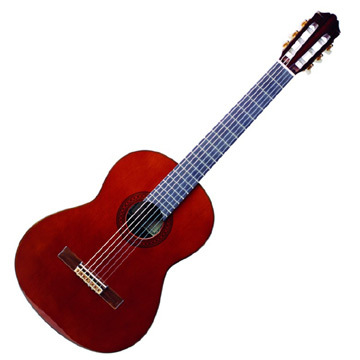 It was named so, because the tip of stem of this instrument was carved into the head of the mythological animal Yali. It was an open-stringed polyphonous instrument, with gut strings (narambu) with a wooden boat-shaped skin-covered resonator and an ebony stem.